Buy 1 - 3 for $25.95 ea. Buy 4+ for $21.95 ea. Buy 1 - 5 for $19.99 ea. Buy 6+ for $16.99 ea. 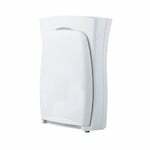 If you are looking for an economical, cost-saving direct replacement for your Filtrete Ultra Clean Air Purifier, check out ;the high quality Filters Fast Air Purifier Filter compatible replacement filter. Charge the air with an enhanced filtration media made from electrostatic properties and use the 3M Filtrete FAPF03 replacement air filter media. This design allows micro-particles to cling to the filter media in a way that is balanced for better airflow over the course of filter use. With a new filter you can greatly reduce allergy causing airborne particles like smoke, smog, household dust, pet dander, bacteria, and other particles. 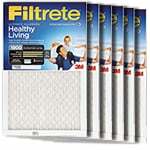 3M Filtrete FAPF03 Air Filter used in the Filtrete FAP03 Air Purifier (also known as the Filtrete FAP03-RS Air Purifier). 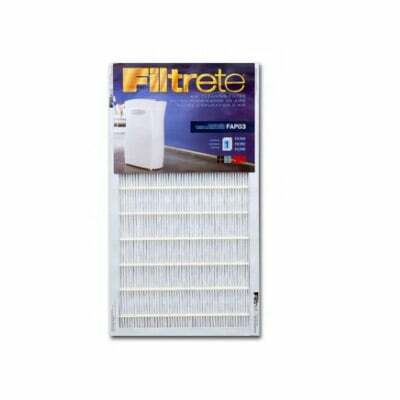 When used in the Filtrete Ultra Clean Air Purifiers, this Filtrete FAP03 replacement filter captures up to 99.9% of the following indoor air pollutants: dust, pollen, mold spores, pet dander, bacteria, virus carrying particles, smoke, smog and other odor carrying particles. To accomplish this, the FAPF03 air filter uses an electrostatically charged filter media that is fortified by a rigid eco-cell structure for support. 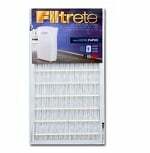 The 3M Filtrete FAPF03 Air Filter is the replacement air cleaning filter for the Filtrete Ultra Clean Air Purifier FAP03-RS, FAP03. This electrostatically charged filter will attract and retain microparticles that can aggravate allergies and cause respiratory problems. 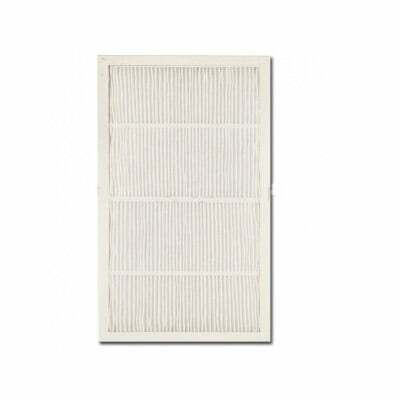 The FAPF03 Replacement Filter should be changed once every 3 months for optimum performance. Please note that unlike the genuine 3M filter it replaces, this air filter does not come wrapped in plastic.